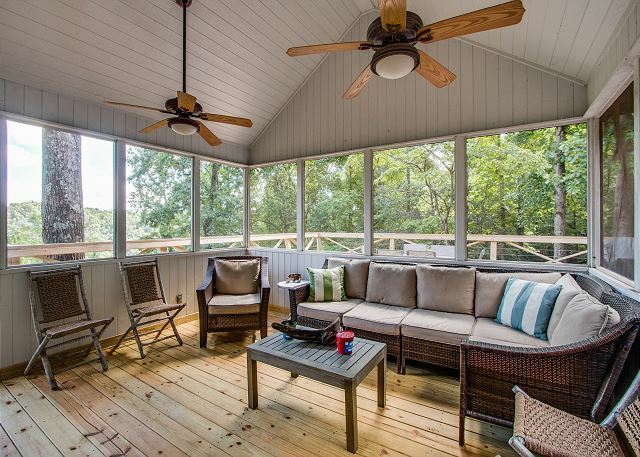 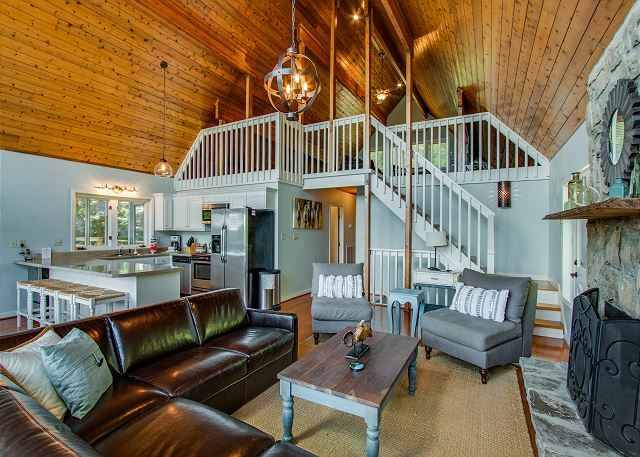 The large wraparound deck on this home is very welcoming for any season. 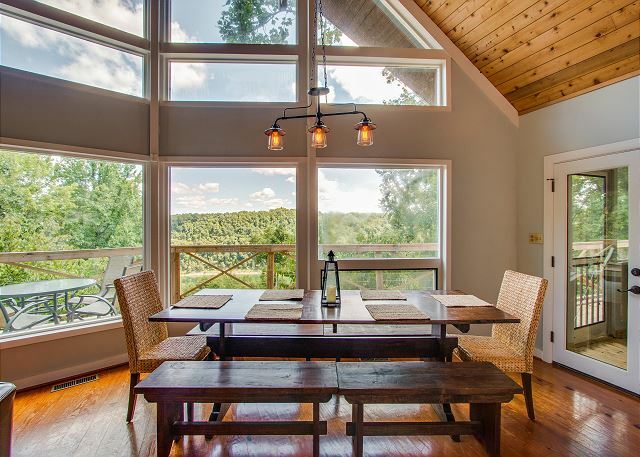 The large windows from the main floor of the kitchen offers lots of sunshine. 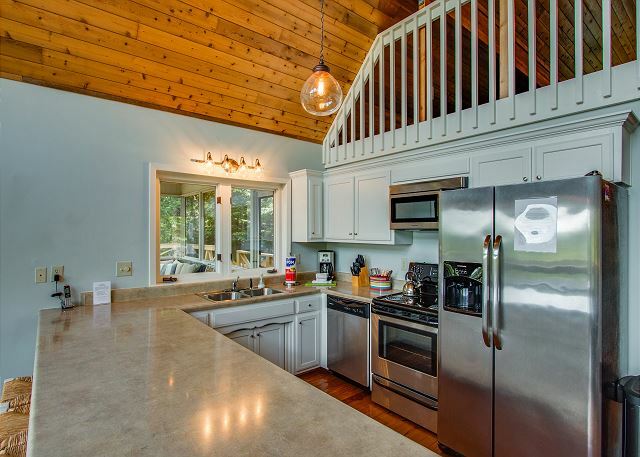 The open kitchen is is stocked with a coffee pot, microwave, dishwasher, toaster and lots of pots/ pans. 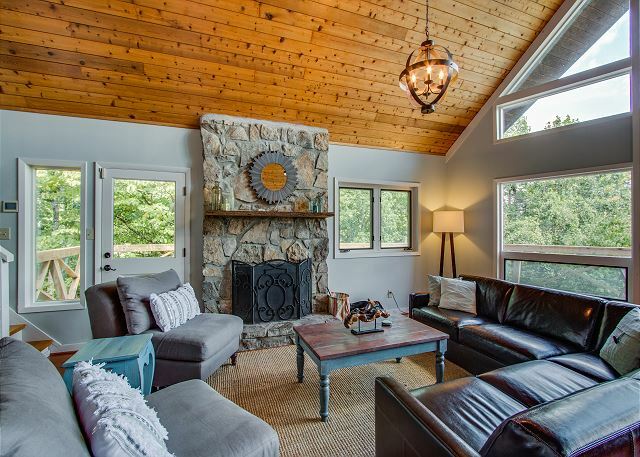 The living room has a wood fireplace and a large comfortable sectional plus other chairs for seating. 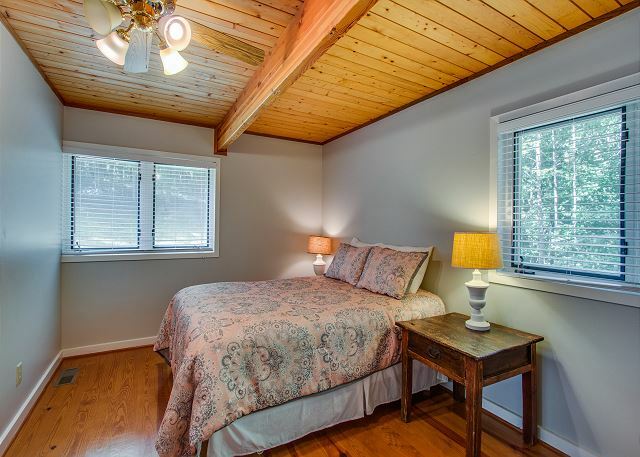 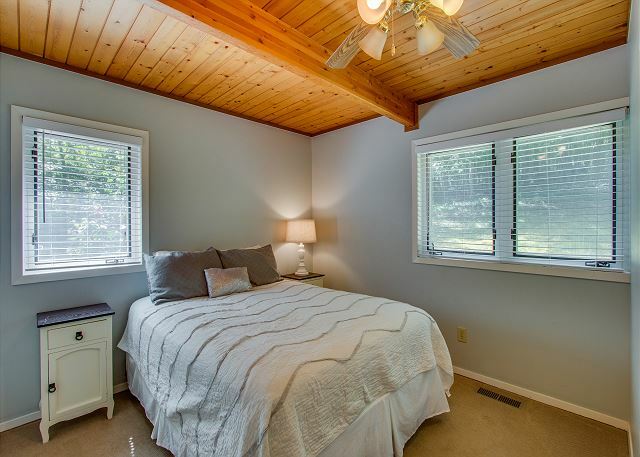 On the main floor, the home has two bedrooms with queen beds and a bedroom with a full size bed. 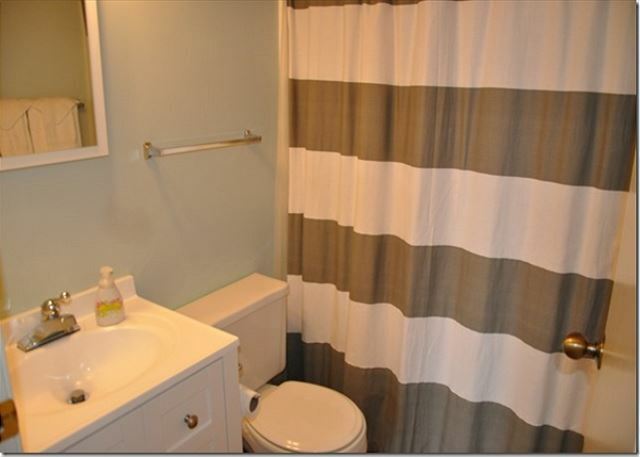 There is a full size bath on the main floor as well. 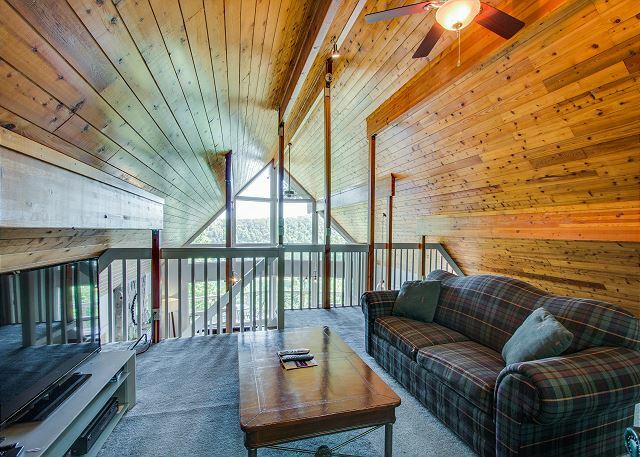 The loft upstairs has a full size sleeper sofa, a big entertainment center outfitted with a television, DVD player and CD changer. 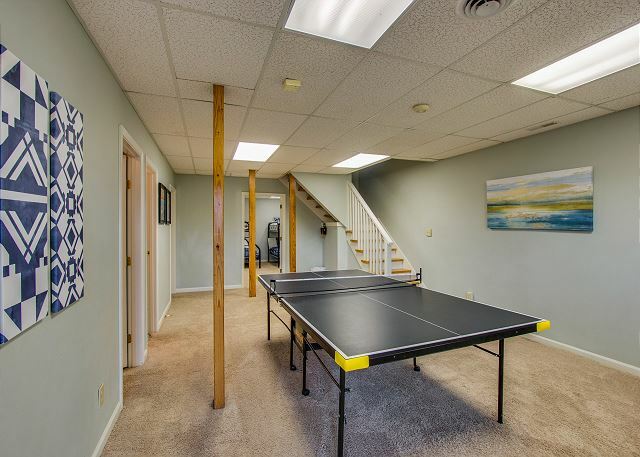 This will be a nice place for the kids to watch movies while the grownups entertain downstairs or out on the big deck. 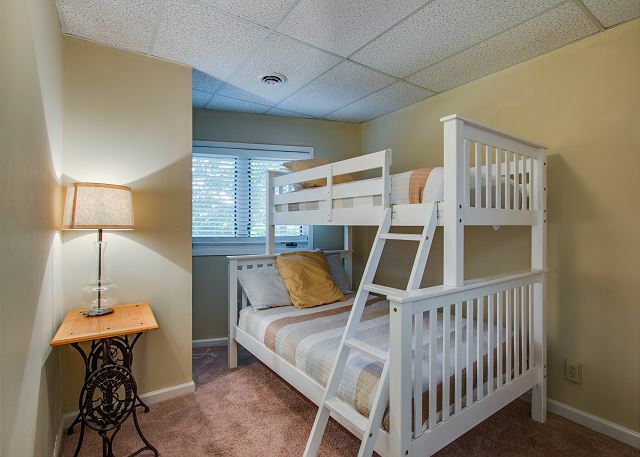 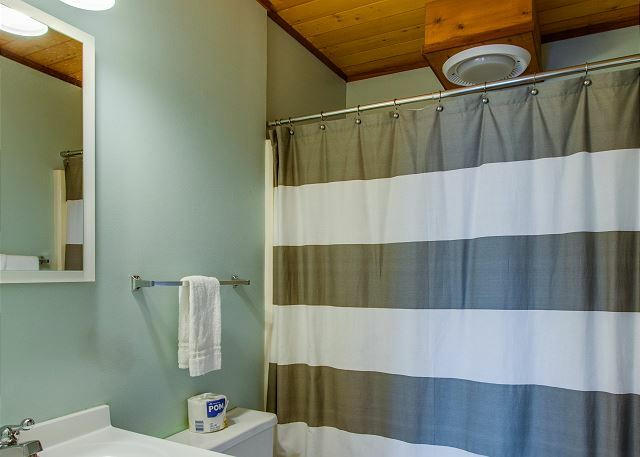 The downstairs offers fun for the family with a recreation room with ping pong table along with a bunk room with three twin over full bunk beds and a tv, a full bathroom and a laundry room. 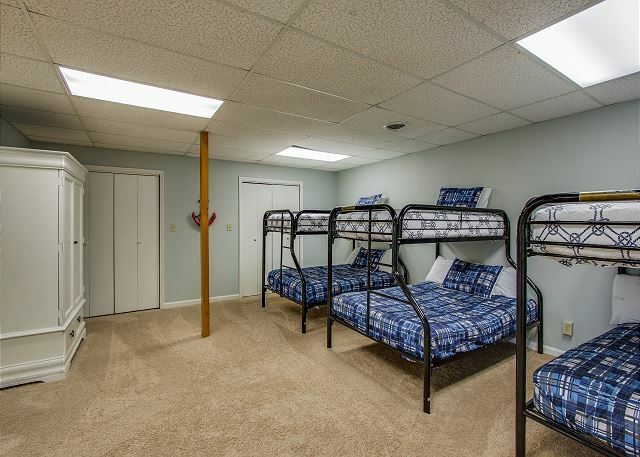 There is also an additional smaller bunk room with a twin over full bunk bed off of the recreation room. 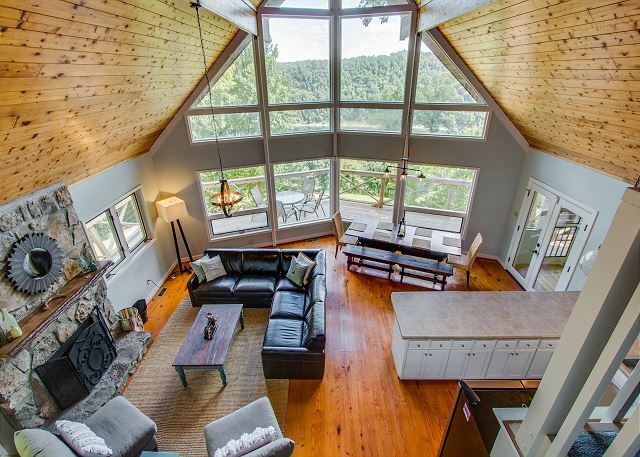 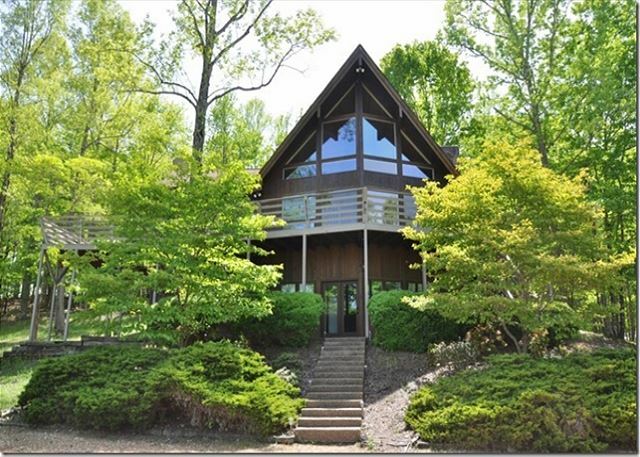 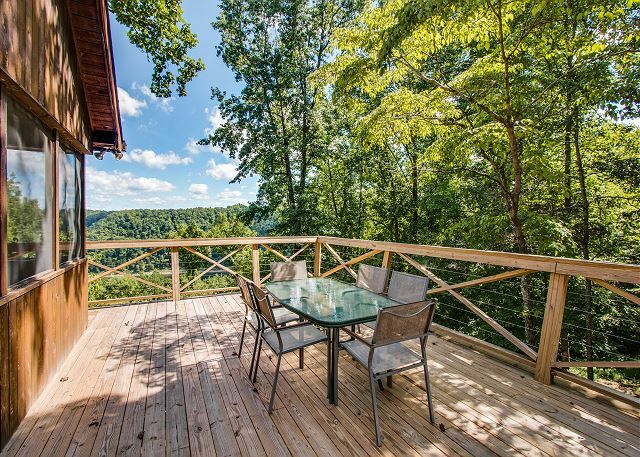 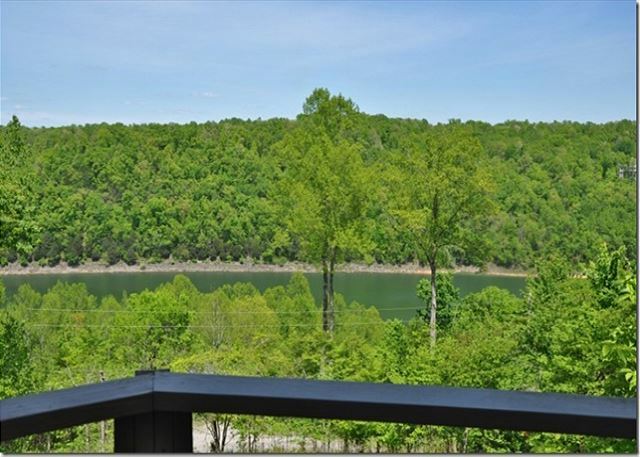 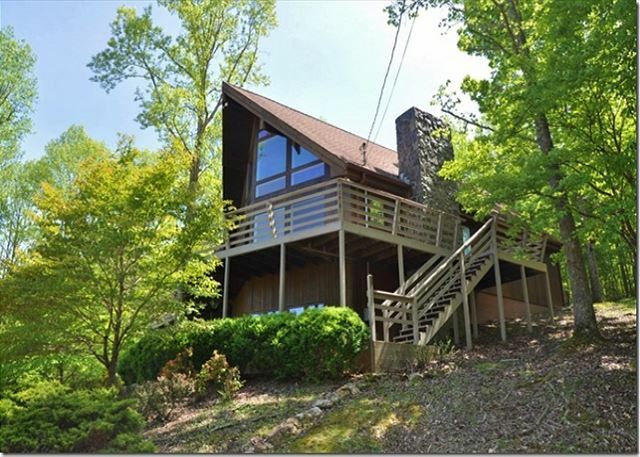 This home offers a magnificent view of the lake from the deck and driveway. 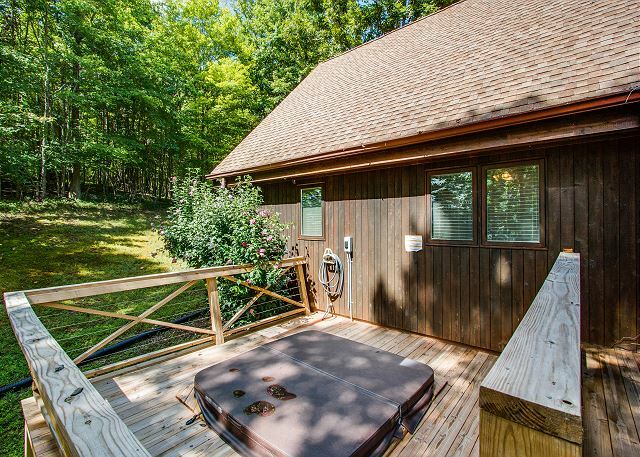 The driveway is large enough for parking boats and several vehicles, however it is pea gravel. 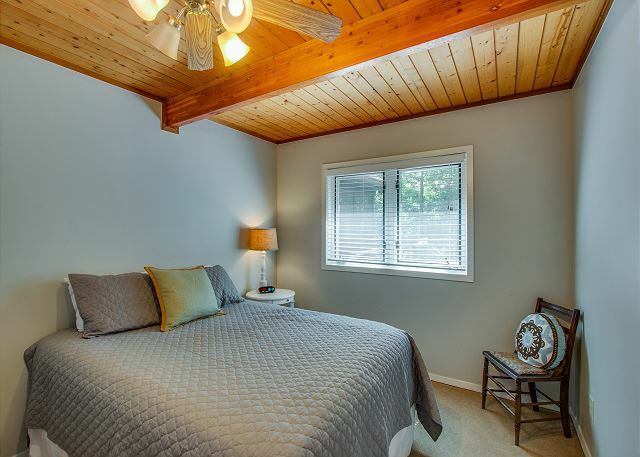 This home is located in the Four Seasons Gated Community with access to the community pool, tennis courts and playground.